Yes, it is official. We are proud owners and operators of a little pink “ice cream” truck (which we have aptly named “truckie” – mostly because of a lack of imagination). Our truck launched the beginning of July and it’s already been such a great hit. We’ve done an event for 1,000 people and managed to visit Silverlake, Studio City and Venice. Most importantly Michael’s parallel parking has improved substantially. What’s the main difference between the truck and the store? Well, that’s a great question. 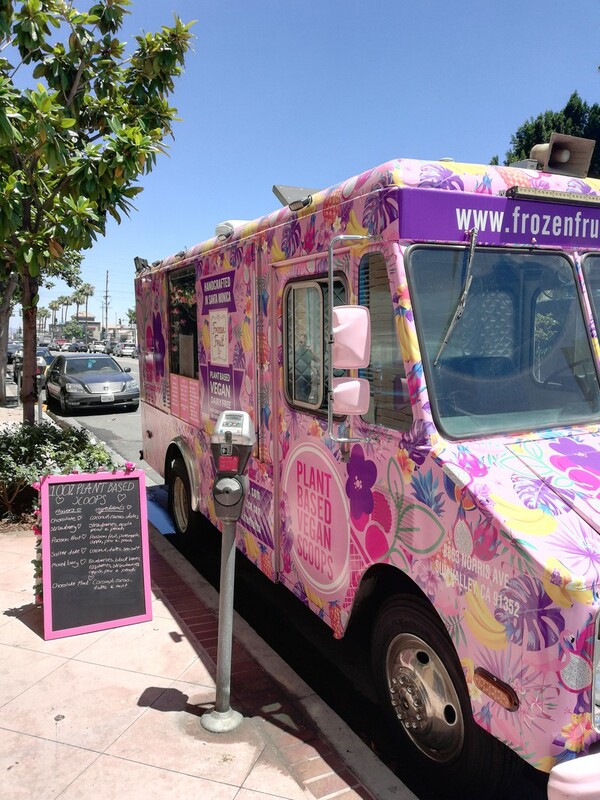 You see the truck serves scooped versions of our plant based frozen treats. There’s no soft serve on the truck. That means we can offer more and new flavors (like our new banana bread flavor) which we can’t offer in the Montana Store. It also gives you a reason to visit both the truck and the store. We are still working on a schedule for the truck, but we are currently soft testing in Studio City most days. Just check out our Instagram to see where the truck is going to be.